The topic of race and gender disparity in regards to the death penalty is a highly debated topic. Although race disparity is more common, sparking iconic Supreme Court cases such as Furman v. Georgia and implementation of the Gregg decision the latter, gender disparity, is commonly swept aside. Throughout history, women have been no stranger to the strong hand of capital punishment, and the uneven imposition of the death penalty on men versus women has everything to do with gender. These differences are directly related to the prevalence of crime in regard to the number of men versus women who commit first-degree murder. A major factor relating to the disproportionate number of death sentences relate to the crime rate for which the act of murder is committed, based on gender. For example, if men are more likely to offend than women, there is a higher probability that more men than women, would receive the death penalty. 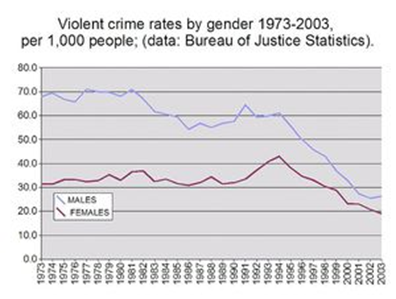 According to the Bureau of Justice Statistics report on women offenders, “the estimated rate for murder offending by women in 1998 was about 1 murderer for every 77,000 women (whereas the) male rate of murder offending was about 1 murderer for every 8,700 males” (Greenfield, Snell, 1999, 4). The same report showed a decline of the women’s offender rate for murder since 1980. This can be seen in figure 1 which examines the trend from 1973 to 2003. In a similar study done by the same agency, the findings coincided and revealed, “In 2002 nearly 9 in 10 murderers were male (with) 79.2% accounting for family murders and 92.7% of nonfamily murders” (Durose, Harlow et.al, 2005). Today, women account for only one percent of the 2,902 total death row inmates (DPIC). 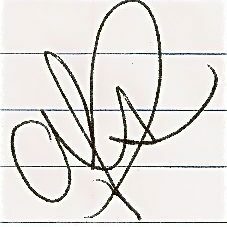 This indicating that the majority of death row inmates are men and the crime of first degree or death eligible murder is more commonly committed by men. The significantly lower murder rate for women versus men may be partially due to the fact that on average, men are more likely to be victims of gun violence than women (Greenfield, Snell, 1999). This would include involvement in street gangs and drug related crimes where men are usually the muscle or front runners which tend to put them at higher risk for the occurrence of violent crime. In addition, a good number of first-degree murder cases involve a victim known to the offender or the offender’s family. This adds another aspect to consider regarding the gender gap when it comes to death eligible murders. 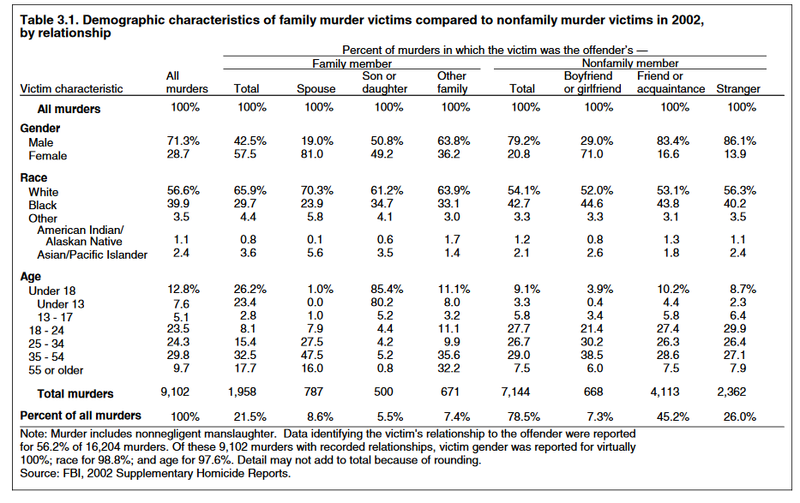 In a Bureau of Justice Statistics study of murder cases from 1998 to 2002, it was determined that “females were more likely than males to be victims of family murder. Females were 50.9% of the U.S. population in 2002 but 57.5% of the Nation’s victims of family murder that year” (Durose, Harlow et.al, 2005). This meaning that with a population of roughly half men and half women, a disproportionate amount of family murders were committed by men. This data raises the question of male roles versus roles of women both in the home and in society. The same study examined the relationships of murder victims and offenders and found that the majority of murders were committed by a husband or significant other with the wife or girlfriend being the victim (Durose, Harlow et.al, 2015). In fact, these murders accounted for over 80% of family murders with over 70% of family murder victims being women (Durose, Harlow et.al, 2015). This may play a part in what makes these murders death eligible cases, as the brutality of the murder often relates to the amount of emotion between the murderer and their victim. This is why in brutal murders that include multiple traumas to the body such as stabbings, it is considered a personal or emotional crime and tips off investigators to look closely into the personal relationships of the victim. In conclusion, the gap between males and females on death row is vast, but this can be explained by the pattern of violent crimes committed by gender. The implementation of the death sentence for these offenders in most cases can be linked to their personal relationship to the victim which in turn, tends to produce a more brutal and heinous crime versus the murders of non-related, or non-associated victims and offenders.